As one of Australia's leading natural fertility experts, Gabriela Rosa has worked to make the natural fertility breakthrough program the ultimate guide for couples hoping to overcome fertility problems, decrease the risk of miscarriage, get pregnant fast, and create truly healthy babies. Here at NaturalFertilityBreakthrough.com we understand that some of you have been trying to conceive for a very long time and although there are never any guarantees in life, the many years of research and clinical practice experience that we bring to this process and teach throughout the programs, is supported by our track record of patient success stories. We deeply and sincerely hope it will help you on your journey to create the healthy baby of your dreams and can guarantee it will change your life for the better. What you will learn, you will be able to apply in every area of your life not just your fertility. And the other amazing benefit of this natural fertility breakthrough program is that it is something that you and your partner can do and implement together. We often get feedback that working together on this program has made relationships stronger. It’s very bonding experience and we welcome you here to join us for this wonderful program. What types of fertility problems can your program address? What are the benefits of your program? How long does your program take to work? What is your success rate? Can you guarantee we will have a baby? Can your Natural Fertility Breakthrough program be used with other fertility treatments? I can’t physically attend your clinic, can I still participate in your program? How do I get started on your program? How do I get started on the natural fertility program ? Can your fertility program be used with other fertility treatments ? How much does your fertility program cost ? Can you guarantee we will have a baby? How long does your fertility program take to work? How does your fertility program work? 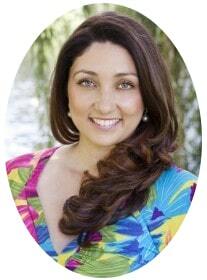 Gabriela Rosa is one of Australia’s leading natural fertility experts and holds a Master of Science in Medicine (Reproductive Health and Human Genetics) from Sydney University and a Bachelor of Health Science. She is trained in numerous disciplines including naturopathy, nutrition, herbal medicine, counseling, mind-body and energy therapies. With her passionate and unique approach to fertility health care Gabriela has become a highly sought after advisor in the patient care and technology space. She has a proven track record having babies birthed in every continent, helping couples all over the world apply her 7 Step FERTILE Method ® to take home healthy babies. 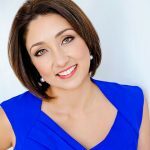 Author of 3 acclaimed books on natural fertility including Eat Your Way To Parenthood: The Diet Secrets of Highly Fertile Couples Revealed Gabriela has featured in major Australian publications including The Daily Telegraph and magazines such as Woman’s Day and New Idea. She has been interviewed on various radio programs in Australia and overseas and is a sought-after commentator on the topics of natural health and fertility. When you apply for a free fertility assessment with her clinical team you too will gain access to Gabriela's expertise to apply to your specific fertility journey. "Thanks to Gabriela and her rigorous attention to detail she found that we had one of those 'little' problems (that made ALL the difference and that no one had found up to that point) and suddenly our infertility was explained and we were able to go on and make a plan to overcome it. I truly don't have the words to express how amazing I think Gabriela, her team and her fertility program are. Her empathy for, and dedication to her clients is unequalled. I will be forever grateful that she came into our lives." "We were one of those couples with "unexplained infertility", the Drs basically shrugged and pushed us into a fertility clinic regime. Some years and thousands of dollars later, heartbreak was our monthly companion, and the Drs were still shrugging! Finding Gabriela was like finding our hope, our trust and our belief in ourselves and our bodies again. Working with Gabriela and her team we finally found the "many little things" that had caused our many years of infertility and that once changed all added up to our "one big thing".. our beautiful baby girl." "Before I started Gabriela's programme, my doctor thought I was bonkers because it had been 3 years and I was nearing 40 but I knew something was being missed and wasn't willing to go down the IVF path just yet. Thanks to Gabriela and her team that something was identified, dealt with naturally and resulted in a pregnancy quickly, and I have an amazing little girl as a result." "Finding Gabriela was when I finally met someone who had the knowledge and willingness to look into what my gut instinct was telling me. Through Gabriela’s attention to detail, dedication, holistic and caring approach she identified several issues that once dealt with meant that we were able to move forward in our fertility journey to the other side with a beautiful baby boy. I cannot express how liberating, informative and life changing going through Gabriela’s program was and I will be forever grateful that I found her."